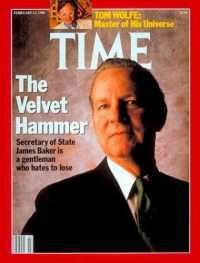 James A. Baker served as the Secretary of State during the Presidency of George H.W. Bush from 1989 to 1992, a period that included such events as the collapse of the Soviet Union, the First Gulf War, and renewed Arab-Israeli peace talks. Remembered as a skilled diplomat and negotiator, Secretary Baker was given the Ralph Bunche Award for Diplomatic Excellence for his many contributions to foreign policy at ADST’s biennial gala dinner in May 2014 . Ambassador Edmund James Hull served in the National Security Council and gives insight into Baker’s methods of diplomacy during the Arab-Israeli peace negotiations held in Madrid. Daniel Whitman was working as an assistant Information Officer in Madrid at the time of the Madrid Middle East Conference in 1991. They were both interviewed by Charles Stuart Kennedy beginning in October 2005 and November 2012 respectively. 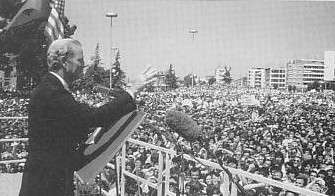 William E. Ryerson was the first United States Ambassador to Albania following the collapse of the Soviet Union in 1991 and gives a firsthand account of Secretary Baker’s enthusiastic reception during his historic visit to Tirana, recently democratic after nearly 50 years of communist rule. He was interviewed by William Morgan beginning in June 1992. 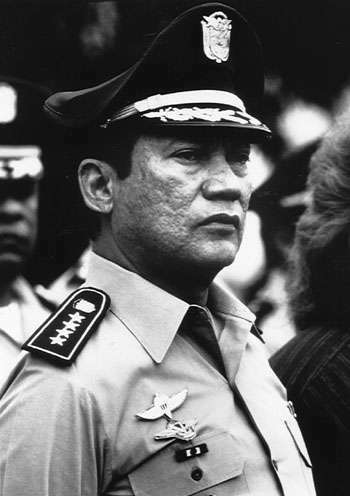 John A. Bushnell discusses how, as Chargé d’Affaires in Panama, he worked personally with Secretary Baker on the American intervention in Panama and the eventual ouster of Manuel Noriega from power. He was interviewed by John Harter beginning in December 1997. 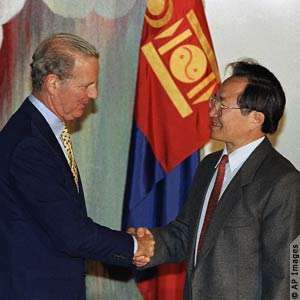 Joseph Lake, Ambassador to Mongolia, discusses Secretary Baker’s role in fostering ties between the United States and Mongolia following the collapse of the Soviet Union. He was interviewed by Charles Stuart Kennedy beginning in September 1994. You can read Secretary “Baker’s Half Dozen,” his six precepts on foreign policy, given during remarks at the 2014 ADST gala dinner, and about his efforts to broker peace in the Western Sahara. HULL: Baker was a brilliant negotiator. He had clearly in mind what he wanted to accomplish, but he had a human touch and was appreciated by Arabs for his willingness to take the time and make the effort to establish personal relations. I remember in particular on a visit to Cairo [Egyptian President Hosni] Mubarak would lay out a lavish spread and always insist that we eat with him, which of course was traditional Arab hospitality. Baker was very adventuresome in terms of culinary experiments, and he would try everything, and he would ask questions and Mubarak would delight in explaining what the various dishes amounted to. Little things like that helped Baker establish a comfortable relationship. King Hussein of Jordan, of course, had been our long time friend, but Hussein had backed Saddam Hussein in the war and had really torn his relationships in Washington. It was more in sorrow than in anger that President Bush, Jim Baker and others had to deal with King Hussein as an adversary, at least initially. After the war, King Hussein obviously realized a mistake had been made and undertook a very long and ultimately successful effort to reestablish those close ties in Washington. On the shuttles Baker was positively disposed to laying out for King Hussein a path of redemption and that path of redemption really was a positive role in the Arab-Israeli peace process which King Hussein did play with significant results. In turn, Baker tried to be helpful to King Hussein. 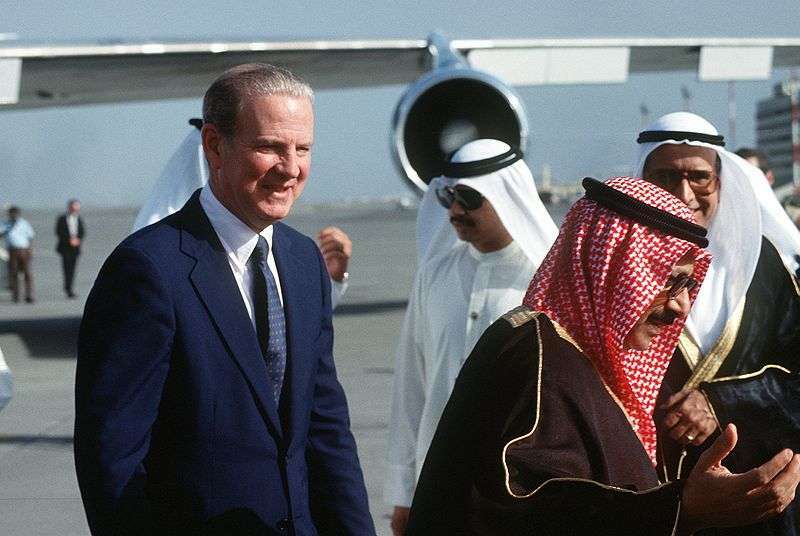 I remember one of our early shuttles in Amman we had an appeal from the King to help reopen relations with Saudi Arabia and trade with Saudi Arabia. Baker intervened with the Saudi royal family and ultimately got a relaxation on border controls vis-à-vis Amman. 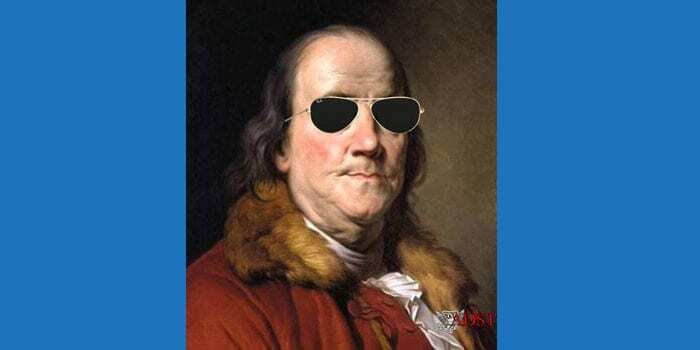 Baker was always quite keen on hearing what an interlocutor needed or wanted and then if it was reasonable, Baker would make a sustained effort to deliver something, knowing that effort would build a relationship and pave the way for his interlocutor to do something on his behalf later on. I was fortunate in the shuttle as the White House representative. I was almost always in the meetings with the heads of state or government. I think this willingness of Bush (41) and Baker not to hold grudges, to give people who had crossed them an opportunity to redeem themselves really was a hallmark of their diplomacy and in the end proved a very wise course of action. WHITMAN: I do remember quite vividly James Baker. My gosh, what a skillful, powerful personality he was. I remember him putting his hands on the table and leaning forward, looking very threatening, something like a threatening lizard. This was a scary man I think, in a benevolent way. He always knew what he wanted. Enormously skilled diplomat. I remember when everybody was in the room at that first session, he leaned forward in an extremely threatening way and said, “The United States government has brought you together to a table. If you leave this conference without a result, it will be your responsibility. 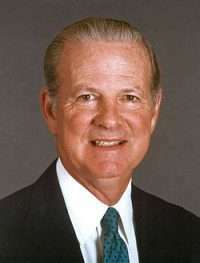 Not ours.” And I remember the sense of awe and frankly terror in the room because of the power of James Baker’s personality. I very much admire what he did that day. RYERSON: There’s a curious parallel with Berlin [and Albania]. And as far as I know, I’m the only person who would have seen both the visit of John F. Kennedy to Berlin and James Baker to Tirana. The reception was different, obviously. Berlin and Tirana are vastly different cities. And Albanians lived in isolation and self-isolation for half a century, basically. But an enormous outpouring of people, this huge emotional gushing forth that happened when Kennedy went to Berlin and happened again when Secretary Baker came to Tirana in June of ’91. They’re very similar kinds of experiences. They’re kind of like exclamation marks on both ends of my career, as it were…. Baker turned his three- and-a-half-hour visit into about a six-hour visit….I was in Tirana as sort of the door stop. They needed somebody in Tirana. I spoke a little Albanian, which I’d learned on my own in Belgrade. And I was there just holding a place until we could get an ambassador named. Got word, with six days notice, that the Secretary of State was coming. Honk! And please be at the airport tomorrow to pick up three, no make that five people from the advance team that are coming in. Basically [we were] trying to see what was necessary to set up a new post. Well we knew what we were going to do to set it up. Because we owned property. We owned, it’s about five acres, and a house that was built for us…in the 1929-30’s. It was built by the American School of Tirana. Founded by the American Junior Red Cross. You want trivia about Albania? I can give you trivia about Albania…. We got mobbed. Have you ever been cheered at by a crowd of about 7,000 people?… And [you] had babies thrust at you to be kissed, actually people holding up children and pushing them toward us to be kissed! Q: Rather than an autograph, they wanted you to kiss their child? RYERSON: Kiss their child, and we got in touch with the Secretary’s party and said, you know, tighten your wigs, because when you get here there’s going to be quite a do. The Secretary heard about this, and decided that if that many people were coming out to greet him, he ought to say a few words to them. And that was the origin of him speaking to roughly ten percent of the population of Albania, which turned out in Tirana to meet him. RYERSON: I’ve had other people tell me that he’s not often stirred; he was stirred. Almost shaken. The crowd mobbed the motorcade, kissing the windshield of his car. They were kissing the windshield of the car I was riding in, and I was four cars back!…The wife of a senior official, a member of the communist party, said that when he was on the platform with Mr. Baker in the square, that that was the first time in his life he felt he could speak freely about what he thought. Q: It was truly a captive nation, wasn’t it! RYERSON: It was a captive nation, and that visit was a catharsis. It was just pouring out! Q: On Sunday about five-thirty in the afternoon you got a call from Jim Baker. BUSHNELL: I spent the afternoon in the embassy working on my plan to deny Panama banks, which laundered drug money access to wire transfers. I needed something to keep my mind off the discussions I imagined were going on in Washington and the potential results any decision would have in Panama. He said, “There are going to be a lot of things you’re going to have to deal with, so I’m your desk officer. You can’t talk to anybody else about this. Anything you need, anything you want done, call me anytime…. I recall several conversations with the Secretary. On Tuesday morning just as the Panama Coordinating Committee meeting was breaking up – people were milling around my office because our most secure conference area was a part of the ambassador’s office which I used – my secretary came in and said, “Secretary Baker is on the secure line for you.” Of course, it is not often that the Secretary calls a chief of mission anywhere on the phone, although my secretary knew I had spoken with the Secretary on Monday. I had to shoo everybody out of my office before picking up for my desk officer…. The Secretary had given me his personal secure numbers on Sunday. Of course, we couldn’t communicate in writing as many additional people in the communications channels would have found out about the operation. As I recall, we had two discussions on Monday. I told him how I was handling the new leadership, that they would be sworn into office by midnight Tuesday, that a radio station would start broadcasting their messages to their people by 1:00PM. I asked him how we were going to deal with the international legal aspects and the legal authority for the operation. He said, “Oh, dammit, I’ll have to get the legal precedents. I can’t get the lawyers involved yet. I’ll work on it.” Later he told me he found a way to get the lawyers involved without telling them what country. I didn’t have much that I needed him to do, although it was rather nice to have the Secretary of State as a desk officer, rather comforting. Fortunately, the cover hints that we were going to have important visitors explained and were reinforced by calls from the Secretary; word of which undoubtedly spread through the embassy and probably to Noriega’s intelligence people. LAKE: Secretary Baker came to believe that we should support the Mongolian people in their efforts [to modernize]. I saw very quickly that this was going to blossom incredibly in terms of the U.S. efforts, as it did. In the course of FY ’91, we went from zero planned aid at the beginning of the year to over $30 million in assistance by the end of the year. Anyone who has worked in the bureaucracy, particularly with the AID [Agency for International Development] bureaucracy, knows what an incredible task this became. The other thing was that just analyzing what was happening you could see that Mongolia as it existed in the summer of 1990 was going to cease to exist. This was a country sustained by an incredible volume of Soviet aid. Things were going to change and we had to be prepared for the worst. Remember, this is a country with a capital city where a temperature in January of forty below is considered normal. The average temperature in Ulaanbaatar is twenty-seven degrees Fahrenheit — the coldest capital in the world. From the point of view of sheer survival, not to mention all the other events that took place in the course of change we had to be prepared…. Secretary Baker had an interest in Mongolia and part of my problem was convincing people in the bureaucracy that this was a reason to be interested. You can only call the Secretary so many times. Baker made a second trip to Mongolia in the summer of 1991 and that finally began to get people’s attention. People really did begin to believe he was interested in Mongolia…. We were able to launch a very successful coordination effort involving the international financial institutions, the World Bank, IMF [International Monetary Fund], as well as the donor countries that were resident in Ulaanbaatar.